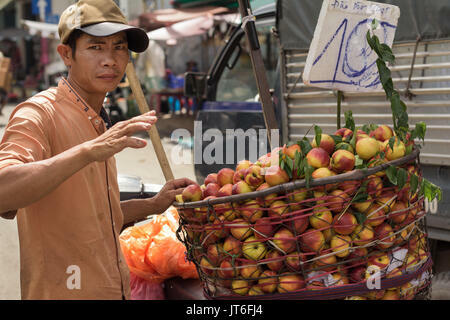 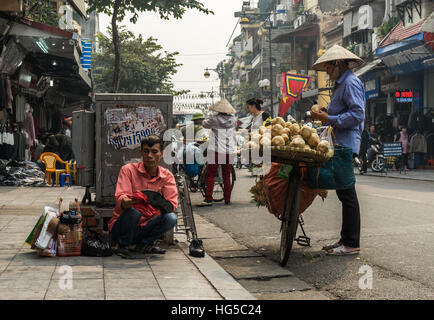 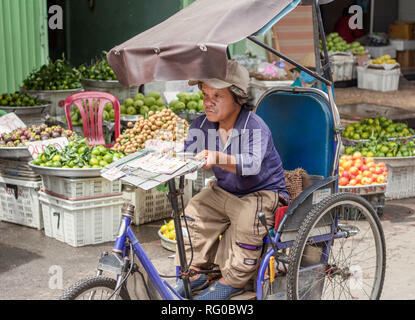 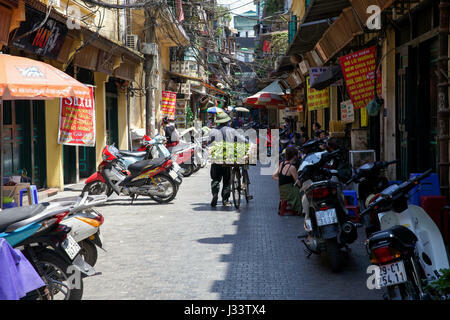 Daily life, a female street vendor selling fruit from her bicycle and a man resting on his motorbike on the street in Ho Chi Minh City, Vietnam. 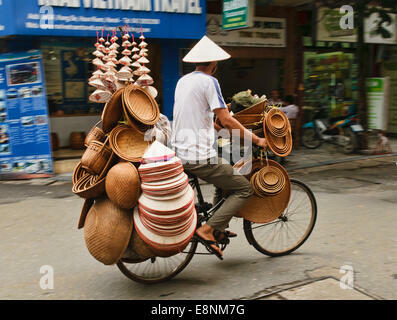 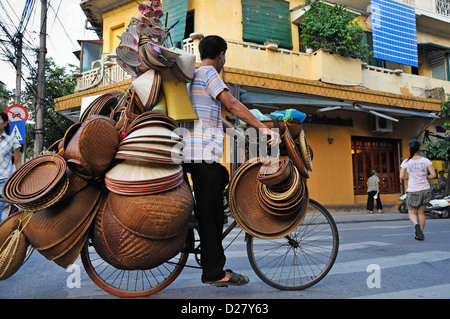 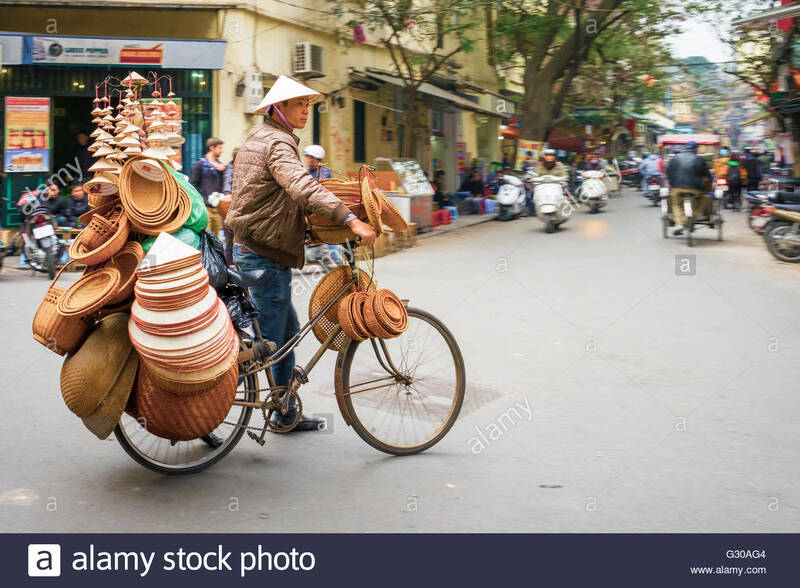 A street vendor on his bicycle selling hats in Hanoi, Vietnam. 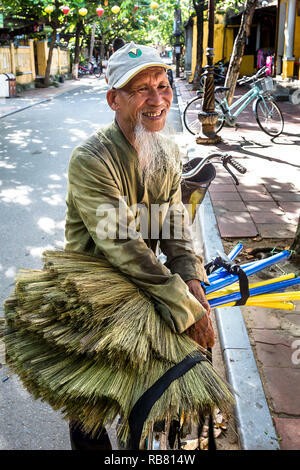 Old Vietnamese man selling brooms on the street. 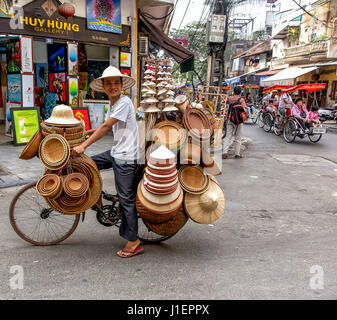 HANOI, VIETNAM - MAY 10: Vietnamese flower vendor walking down the street of Hanoi with his bicycle on May 10, 2014 in Hanoi, Vietnam. 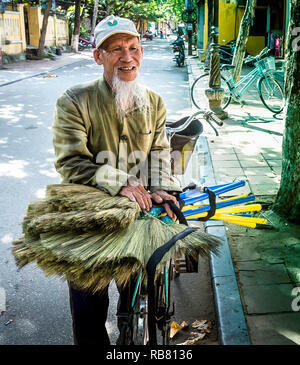 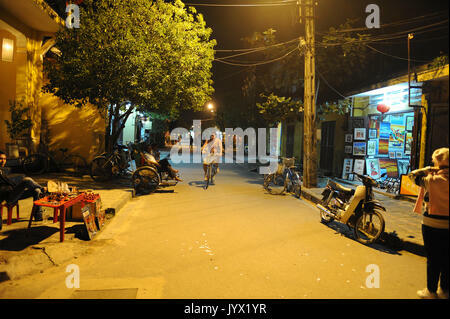 Older grey bearded man selling brooms from his bicycle on the streets of Vietnam. 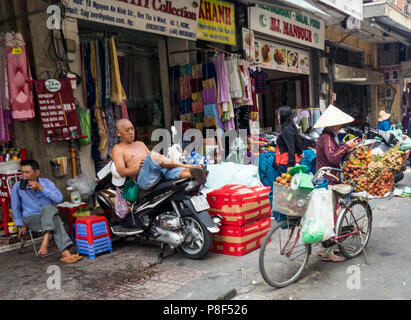 Urban street business scene in Hanoi. 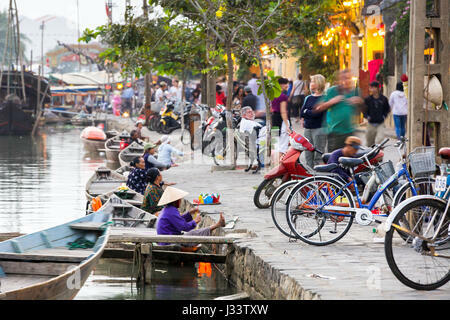 Man cleaning shoes and woman selling vegetables on bicycle.